The following media release was provided by Common Cause NC. 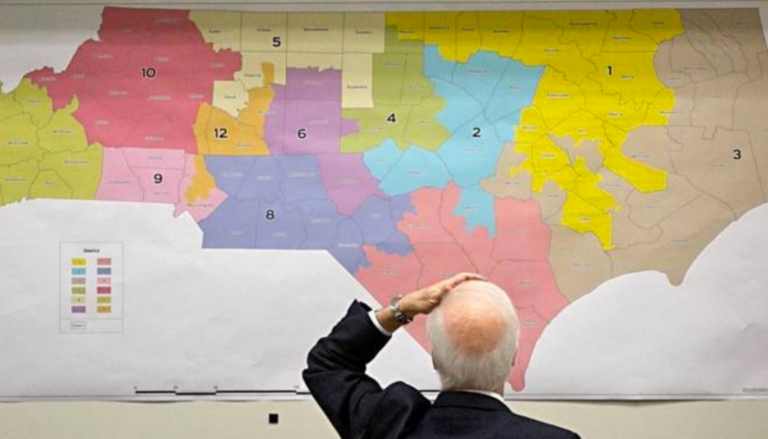 RALEIGH, N.C. — Common Cause, the North Carolina Democratic Party, and a group of individual North Carolina voters are suing the state of North Carolina over the partisan gerrymandering of legislative maps for both chambers of the North Carolina General Assembly. The lawsuit, which was filed in the Wake County Superior Court, challenges the 2017 redistricting plans as violating the North Carolina Constitution and seeks to establish new, fair state House and state Senate maps for the 2020 elections – maps that do not burden or penalize any voter or party based on their political beliefs or past votes. The National Redistricting Foundation, a 501(c)(3) affiliate of the National Democratic Redistricting Committee, will be supporting the legal fees of Arnold & Porter, Perkins Coie, and Poyner Spruill as counsel for Common Cause and the voter plaintiffs in the lawsuit.